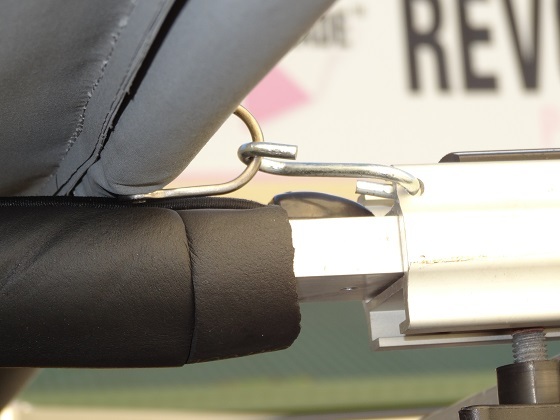 We know how frustrating it can be to receive a new toy then have to spend hours putting it together. 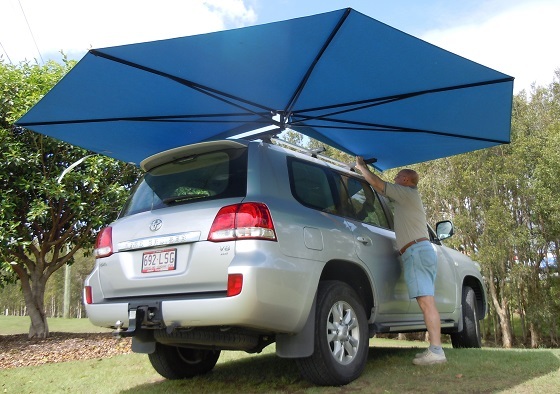 For this reason when you get your brand new CleverShade it is all put together for you and is ready for use. 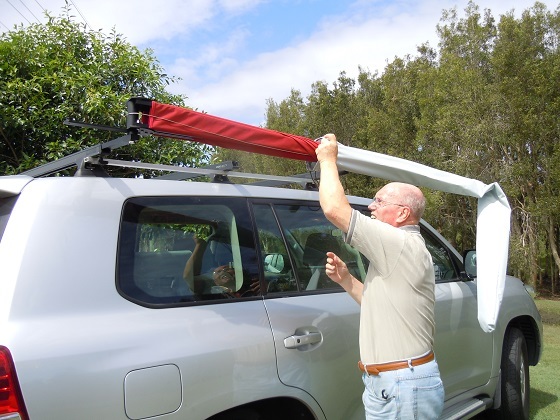 All you need to do is secure it to your roof rack bar. 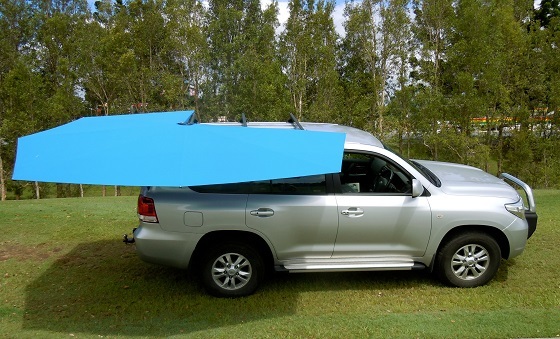 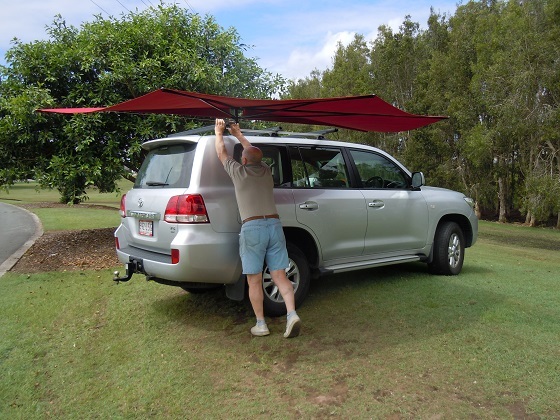 Because there are so many different applications for the CleverShade, we will cover the installation instructions for installing it onto the roof rack bar of a vehicle. 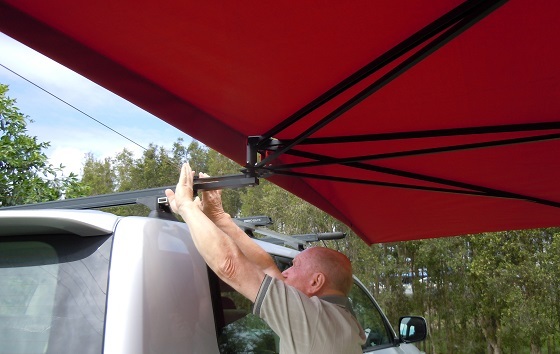 This is the most common use for the CleverShade, if you require any special installation instructions just contact us and we can talk you through any difficulties you might have. 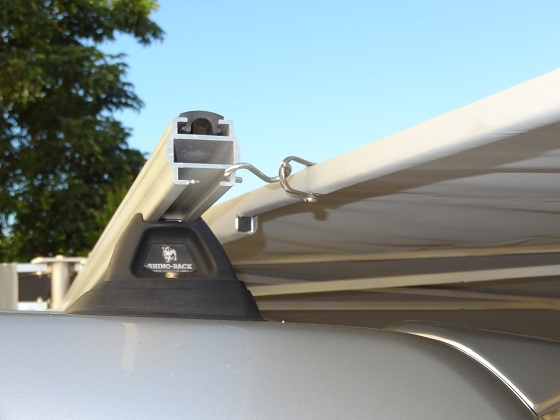 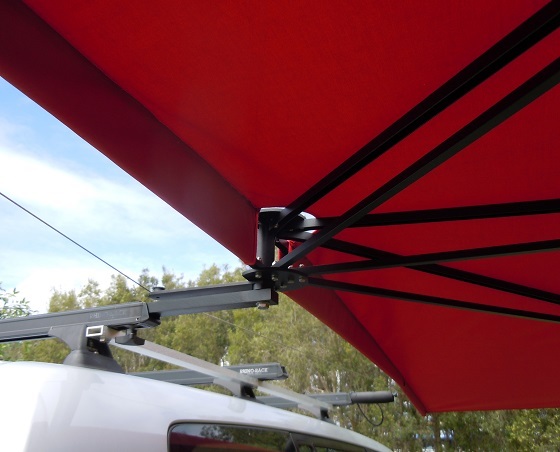 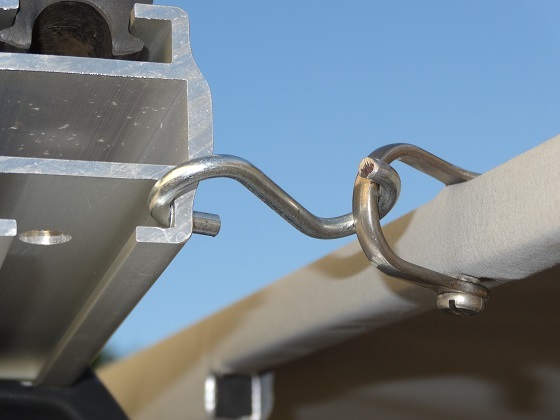 You’ll notice that there is a metal bar at the base of your CleverShade, just slide that into the end of your roof rack bar and screw the locking screw in from underneath to hold it into place. 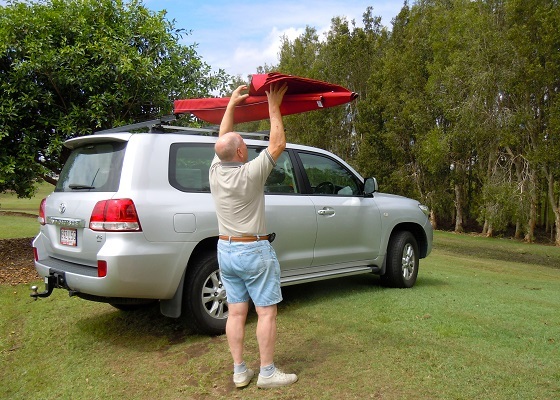 From there, depending on what model you have, simply follow the instructions below to get it up and ready to be enjoyed. 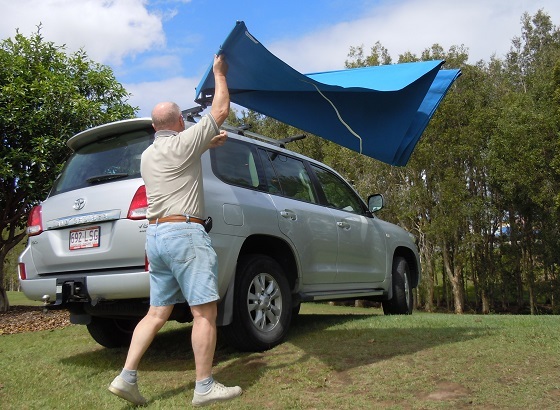 If the wind becomes stronger than 40km/h and you feel it needs some extra support, simply attach a pole or rope to one of the loops to give some extra strength. 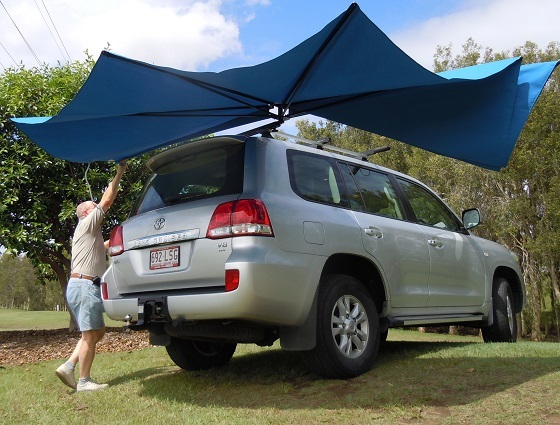 If you have any problems with installation or using your CleverShade that aren’t explained in the above instructions simply fill in the form below explaining any difficulties and we will get back to you with all the relevant information. 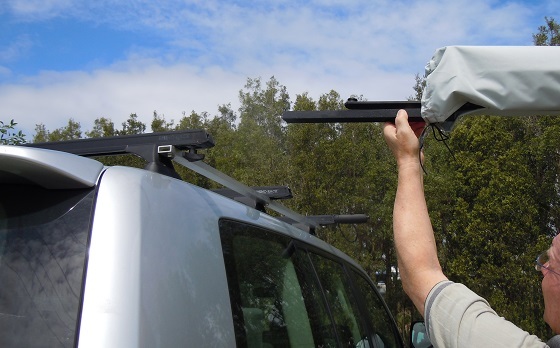 If you could upload a photograph to show any problem areas it will be a lot easier to give you specific and helpful information.